Yet another Remote Shutter for a DSLR? Yes but... you no longer need any program compilation to change the duration and interval... happy?! First step, a big wish to get a cheap remote for my DSLR... and a bit of fun as well! So I started mine, based on a website. Could be this excellent DIY remote trigger shutter page. Second step: the optocoupleur 4N35 CI found in the Arduino Starter Kit, and a google search on it showed me... so many remotes for my DSLR! You know what?! I'm happy!! Status: Press Minus or Plus switched to start. Delay (seconds): delay before starting the shutter. Duration (minutes): how long to take pics? Interval (seconds): how long between 2 pics? Autofocus (yes/no): if yes, engage the focus before shooting (only once). Reset (yes/no): when pressed, reset the default values. * SwitchMinus: decr the value. Hold 1/2s to decrement by 5. Hold 2s to decrement by 20. * SwitchPlus: incr the value. Hold 1/2s to increment by 5. Hold 2s to increment by 20.
millis() function is not that accurate so I used the TimerOne library. 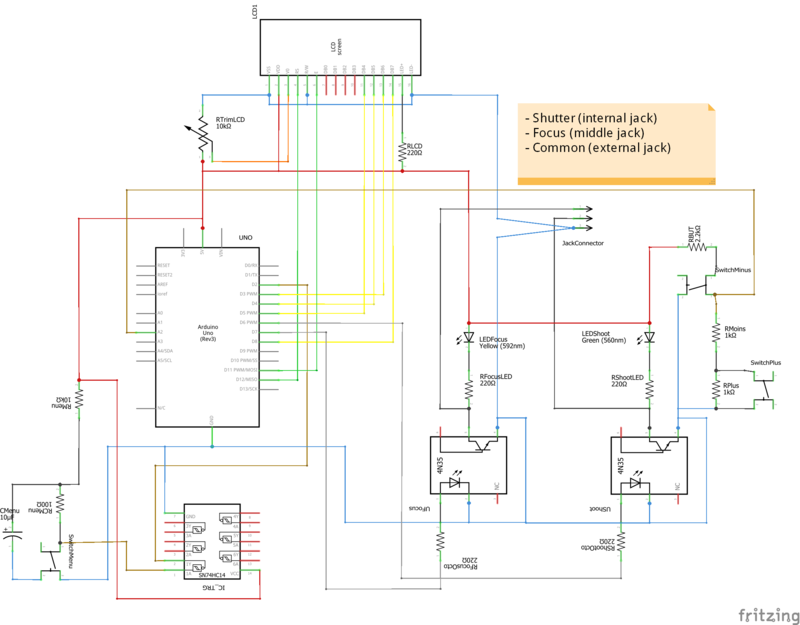 How to ensure the DSLR to be electrically independent with mine? 4N35 CI is the solution! Sequential programs with long delays (for the camera to shoot) made tricky to handle the stop via the buttons. Event based program based on hardware interruptions was the clue. The software debounce was no longer available (the delay() function is voided during an event is triggered... took me hours to figure it out!) 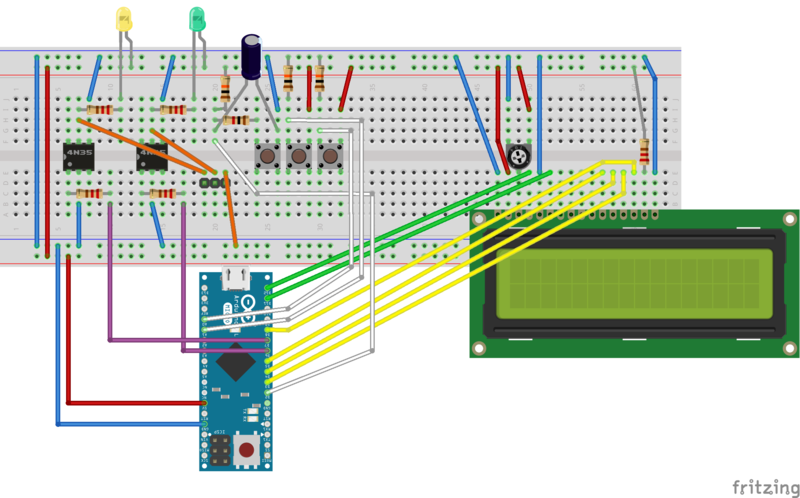 so I use a RC circuit to provide a hardware debounce (got the clue in Exploring Arduino book). Nice indicators with progress bars of duration spent and intervals representation... I wrote LCDProgressBarDouble library! How to easily provide some value jumps when holding the button for 1/2 seconds or 2 seconds: AnalogMultiButton is a right and easy solution :). 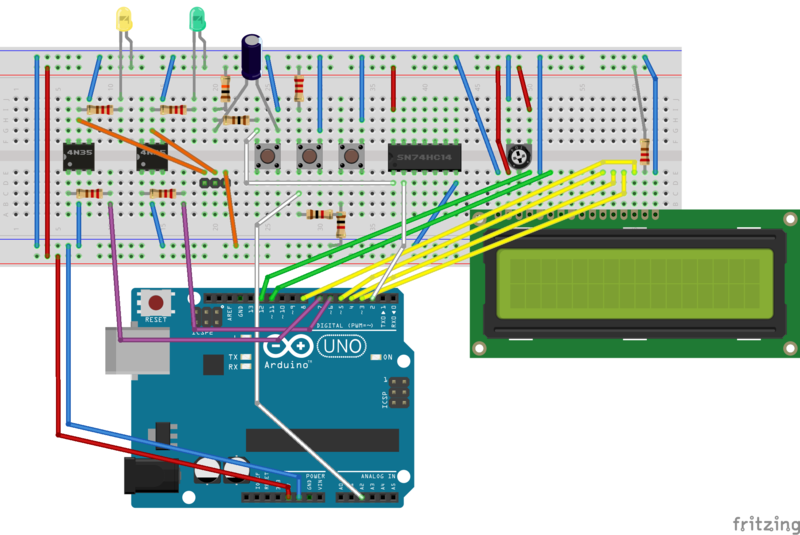 Arduino UNO only supports Pin2 and Pin3 for hardware interruptions. Check your model! 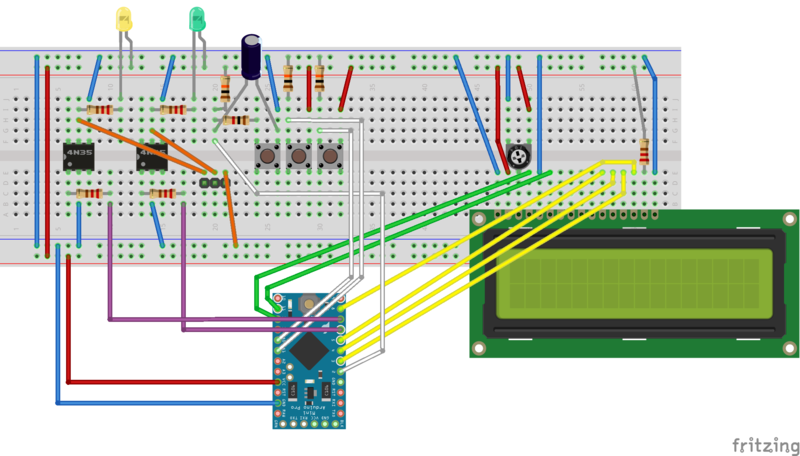 TimerOne requires Pin9 and Pin10 (PWM~) to be unconnected. Use a tiny board (e.g. Adafruit Pro Trinket), redesign the PCB around it and 3D print a beautiful box... would need a 3D printer for that... will ask my wife whether it could be part of a Christmas wishlist! Of course, one day or one another I'll get a new camera body with embedded WiFi... in the meanwhile, I'm enjoying my toy! And of course... test it on Chicago sunsets :).